Hospitals harmed under the CMS' controversial two-midnight rule will receive a boost to their discharge payments over the next year, which could amount to millions of dollars in additional funds. The CMS posted a notice on its website that instructed Medicare administrative contractors to give hospitals additional reimbursement on every discharge from June 1, 2017, to May 31, 2018. The exact amount was not specified in the notice. The notice, dated Nov. 9, applies to 67 hospitals including some operated by Oakwood Healthcare and Dignity Health, which recently settled litigation over the two-midnight rule. Some hospitals receiving the payment boost will benefit more than others, according to Dr. Chris Stanley, director of the consulting firm Navigant and former head of population health at Catholic Health Initiatives. That's because the volume of Medicare inpatient admissions may have changed since the two-midnight rule was first implemented. "Facilities that have grown their Medicare admissions will have an advantage, while those that have decreased in this time will not make up for lost revenue," Stanley said. 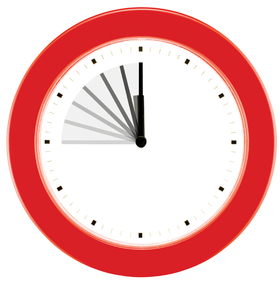 Under the two-midnight rule, the CMS directed federal auditors to consider short-term hospital stays as inpatient admissions if they span two midnights, even though they otherwise should have been billed as an outpatient observation visit. The rule was a response to a surge in observation claims that the CMS attributed to hospitals trying to avoid having their claims challenged by Medicare's auditors. The agency expected the policy to yield an increase in inpatient claims, and the 0.2% rate reduction is intended to offset the estimated $220 million a year in additional costs to the program. The rule was ultimately scrapped last year after several lawsuits claimed that the HHS overstepped its authority when it drafted the policy. The CMS' inflation announcement confused some providers, since hospitals collectively got a 0.6% raise in the fiscal 2017 inpatient pay rule to make up for the 0.2% reduction to the rates under the two-midnight rule over the prior three fiscal years. "This settlement and adjustment is baffling," said Dr. Ronald Hirsch, a vice president at R1 Physician Advisory Services, a consulting firm on billing matters for providers. "It appears to be a way to make the lawsuits go away rather than indicating that the 0.6% payment boost in 2017 was actually inadequate to compensate hospitals for the three years of 0.2% reductions." A CMS spokesman declined to comment on the notice as the agency continues to face litigation over the rule. The MAC notice is meant to compensate these hospitals for inflation interest in costs of care that occurred over the three years it was in place according to Lori Rubin, senior counsel and litigation lawyer with Foley & Lardner. Rubin represents hundreds of hospitals that are in active litigation with HHS over the two-midnight rule rate reduction. More of these inflation interest notices will likely be released she said. In addition, there are still active cases in which hospitals contend that the 0.6% raise last year and an offer to reimburse for inflation won't reimburse them fully for their lost payments under the two-midnight rule. "For hospitals that have not yet settled, we're still hoping to get them more than interest," Rubin said. Correction: A prior version of the story incorrectly stated the amount of inflation interest to be paid to hospitals. This error has been corrected.